Jiddu Krishnamurti (May 12, 1895-February 17, 1986) was a world renowned writer and speaker on philosophical and spiritual subjects. His subject matter included: the purpose of meditation, human relationships, the nature of the mind, and how to enact positive change in global society. 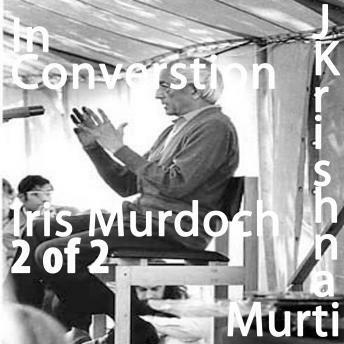 Krishnamurti was born into a Telugu Brahmin family in what was then colonial India. In early adolescence, he had a chance encounter with prominent occultist and highranking theosophist C.W. Leadbeater in the grounds of the Theosophical Society headquarters at Adyar in Madras (now Chennai). He was subsequently raised under the tutelage of Annie Besant and C.W. Leadbeater, leaders of the Society at the time, who believed him to be a vehicle for an expected World Teacher. As a young man, he disavowed this idea and dissolved the worldwide organization (the Order of the Star) established to support it. He claimed allegiance to no nationality, caste, religion, or philosophy, and spent the rest of his life traveling the world as an individual speaker, speaking to large and small groups, as well as with interested individuals. He authored a number of books, among them The First and Last Freedom, The Only Revolution, and Krishnamurti's Notebook. :" In addition, a large collection of his talks and discussions have been published. At age 90, he addressed the United Nations on the subject of peace and awareness, and was awarded the 1984 UN Peace Medal. His last public talk was in Madras, India, in January 1986, a month before his death at home in Ojai, California. His supporters, working through several nonprofit foundations, oversee a number of independent schools centered on his views on education - in India, England and the United States - and continue to transcribe and distribute many of his thousands of talks, group and individual discussions, and other writings, publishing them in a variety of formats including print, audio, video and digital formats as well as online, in many languages.